Meagan and Brad had their wedding in November at The Garrsion. They were super lucky and had a nice sunny day but were also not so lucky an had a FREEZING day. When I tell you my hands were completely frozen...I'm not kidding. It was hella cold but these two were freaking champs. We started with detail shots throughout The Garrison. We hung her dress in the bridal suite along with her shoes. Some of their details were very fall-esque such as the skeletons(which I adored byyyy the way). I started the day by taking getting ready shots of Brad. Hasn't he mastered the GQ look? Both Meagan and Brad were one the most relaxed and calm couples I've ever had. Following Brad's getting ready shots, I took Meagan's getting ready shots. 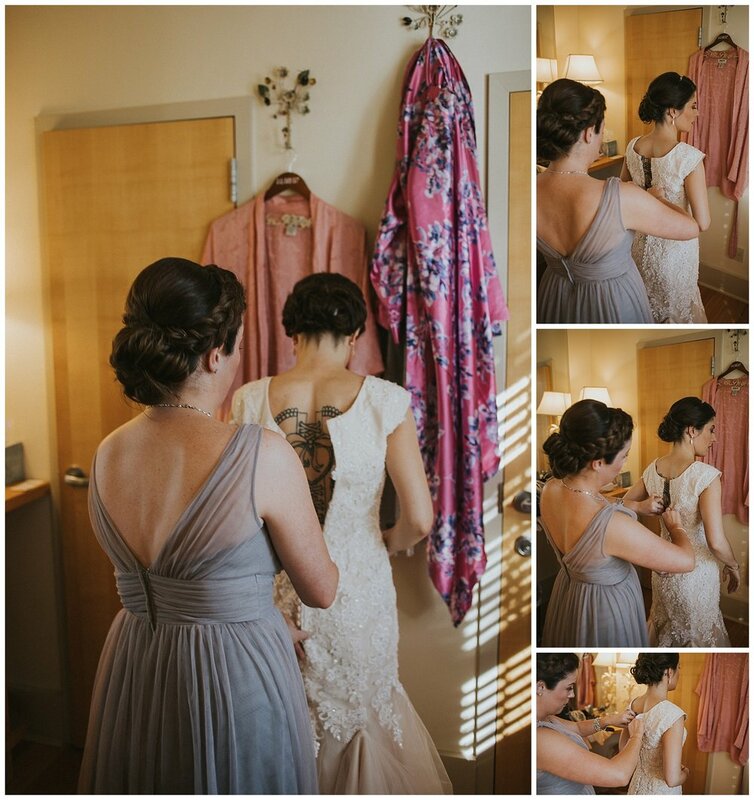 We started with cute bridesmaids shots on the bed and then Meagan got ready for her first look with Brad! Meagan and Brad had their first look facing the Hudson River and it was perfect. Meagan and Brad took their bridal portraits down by the pond at The Garrison and the surrounding areas. Because Meagan and Brad did both the engagement and bridal session we were able to get their photos done super quick! Following the first look we took some bridal party shots and family shots. Then it was time for the ceremony! Meagan and Brad had a one of a kind ceremony and a beautiful confetti exit. Afterwards it was time to PAAARRRTTYYYY!